Although owning your own café might sound like a fun way to make living, you need to put plenty of thought into the planning process to ensure it’s a successful venture. 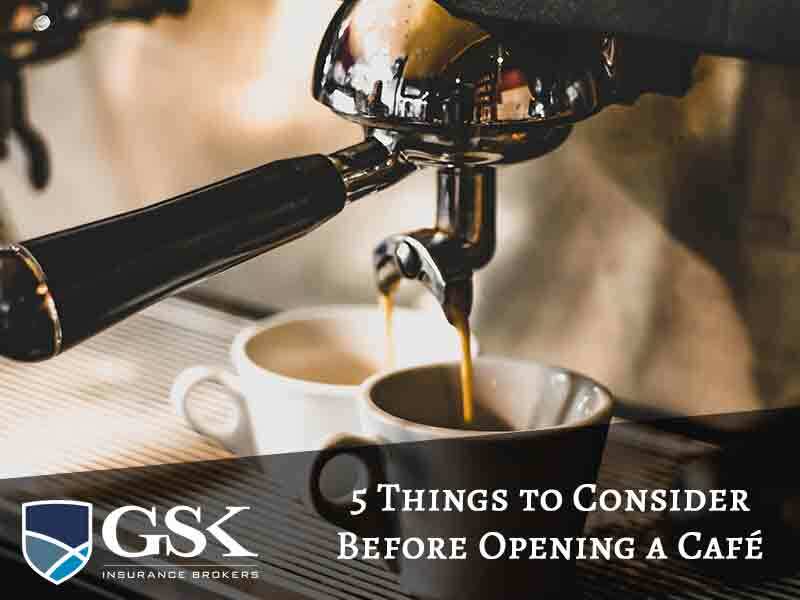 From getting the location right to taking out café insurance, there are a few things you need to consider before you open your new café. Let’s take a look! Before you get to the stage of opening your café, you need to have a solid business plan in place. Set yourself clear financial goals, consider how much money you need to invest and map out your overheads. If you need additional support, you can enlist the services of an accountant or bookkeeper to keep an eye on finances. Take your time to find a great location for your new café as this can make or break how successful your business is. Does a particular area have a shortage of cafes? Is there enough traffic in the location to keep your café busy? A central location is preferable so look for spots near universities, office buildings or shops. This might seem obvious but make sure you spend time sourcing high quality coffee and enlisting experienced baristas. Australians take their coffee very seriously and one bad cup of coffee can mean that a customer will never come back again. Build a reputation for great coffee by perfecting your brew before the doors open. There are plenty of cafes out there so you need to try and make your business stand out. Think about your target audience and then go from there. Do you want to appeal to parents by offering a kid friendly cafe? Do you want to offer a range of healthy alternatives for those who are health conscious? Do you want to offer home-made food with a difference? Here at GSK Insurance Brokers, we offer personalised insurance plans for café and restaurant owners so you’re protected financially. We understand the you face a unique set of risks and our brokers have the knowledge and experience to offer customised solutions to meet the needs of your growing business. If you need help with café or restaurant insurance for your new business, speak with the team at GSK Insurance Brokers today on (08) 9478 1933.